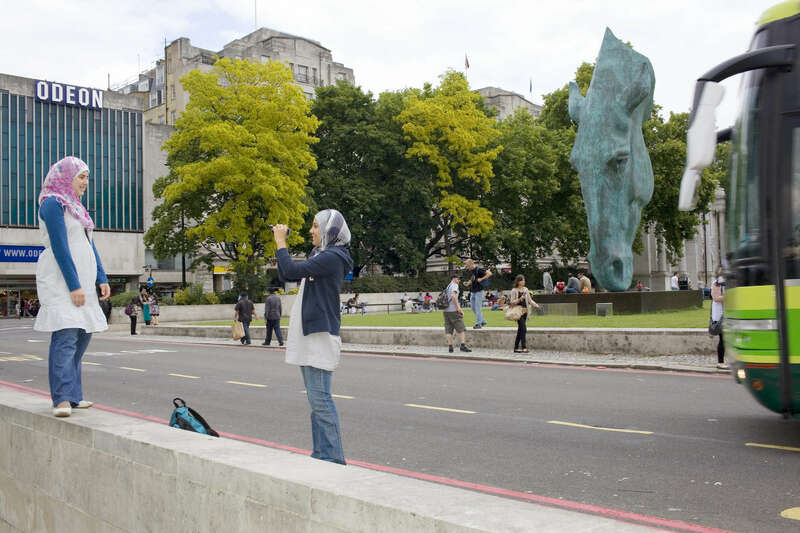 Two friennds wearing headscarfs take photographs near a statue of a large horses head. Arabs have been visiting London for centuries and around 300,000 Arabs have chosen to make the capital their home and a further half a million throughout the UK. The number swells significantly from visitors during the summer. Saudi Arabians spend the most on property in London choosing Belgravia, Kenington, Knightsbridge and Holland Park. Arab culture continues to increase in visibility throughout the capital as integration into this most transient of city's continues.